Android is growing by leaps and bounds. In line with the predictions by Gartner Research a month ago, Android now is the fastest growing smartphone mobile OS in US(and the world) and sales of Android phones led Apple iOS, RIM's BlackBerry and others in the US for the third quarter. Android OS was installed in 44 percent of all smartphones purchased in Q3, an increase of 11 percentage points since Q2. Thanks to some high-profile handset introductions, the Android smartphone operating system significantly grew its lead in the U.S. consumer smartphone market in the third quarter. According to The NPD Group, a leading market research company, Android OS was installed in 44 percent of all smartphones purchased in third quarter, an increase of 11 percentage points since quarter two. The most popular Android based smartphones sold in the United States included the number four ranking Motorola Droid X, and fifth ranked HTC Evo 4G, with the Droid 2, HTC's Droid Incredible, and Samsung's Galaxy S line of Android smartphones also selling well. In the meantime, Apple iOS gained one percentage point to hit 23 percent of all installations. Its iPhone 4, launched in late June, was the top-selling smartphone. But it's growth has been severely affected by the meteoric rise of Android based smartphones. But the biggest loser in this closely followed smartphone race is RIM and its key product, Blackberry phones. Much of Android’s quarterly share growth came at the expense of RIM, rather than Apple. 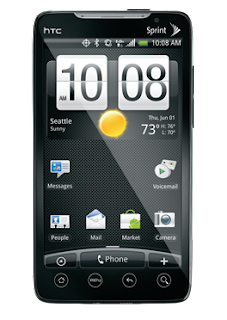 Despite having the second highest-selling smartphone in the form of BlackBerry Curve 8500, Research in Motion (RIM) saw its share dropping to 22 percent from 28 percent in the second quarter.